Agricultural science and technology website is a very important supporter of driving agricultural information and servicing agriculture. An evaluation method is proposed on agricultural science and technology website based on objective data and artificial ratings, using principal component analysis method. 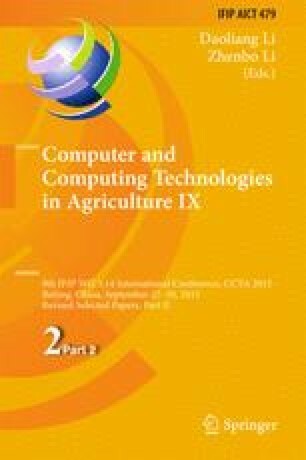 Finally the author used the model to evaluate 18 agricultural science and technology websites, and proposed some suggestions on development of agricultural science and technology websites based on the evaluation result which would act as reference to agricultural science and technology website construction.